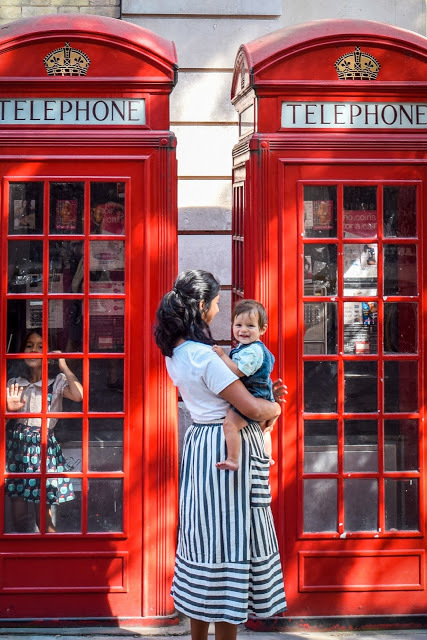 London is truly one of the very best places to travel with little ones – there are just so many fun things to do in London with kids! And there is so much variety – everything from world-class museums to outdoor space to live theater, much of which is free. We loved being there this summer, and spent 6 glorious days barely scratching the surface of that incredible city. Still, I find three days is often the amount of time people have if they’re traveling through Europe, or want to venture out to other parts of the UK. 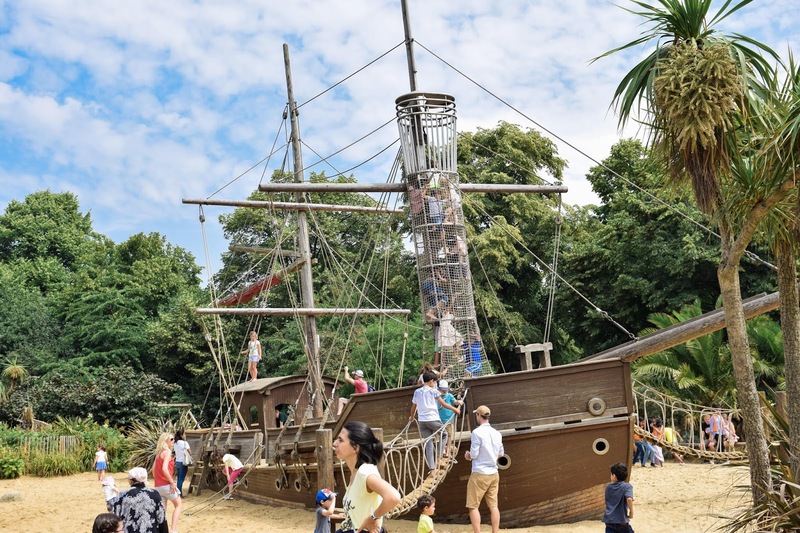 So it’s a great starting point for seeing some of London’s highlights with kids! 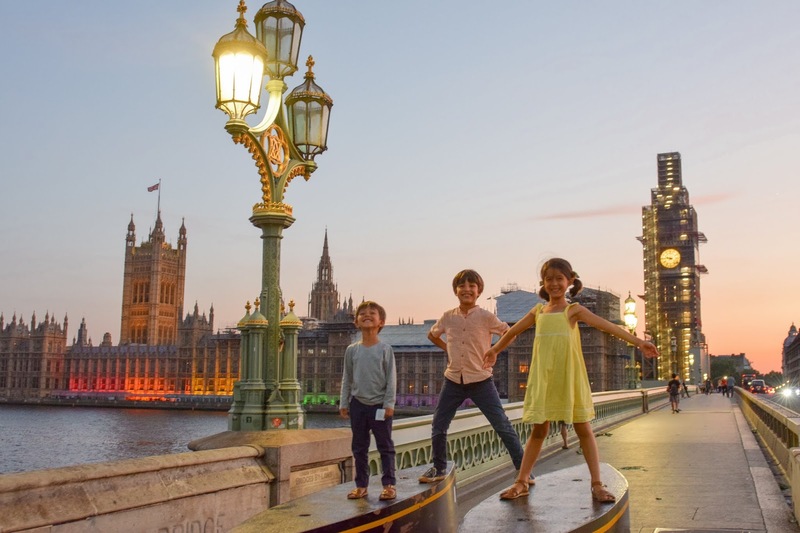 Keep reading for a London itinerary for three pretty fantastic days there with kids – and some suggestions for extra days if you have them! Kick things off while kids are fresh with a dose of British royalty by heading to Kensington Palace. Kids will love all the little activities they have inside, including some little toys like those enjoyed by Queen Victoria. The Princess Diana exhibit is dreamy with all her beautiful outfits, so this will be especially fun if you have some little fashionistas! After leaving the palace, pull out your picnic. There are lots of beautiful places to sit and enjoy in nice weather! From there, take a short walk to the Diana, Princess of Wales’ Memorial Playground. You could easily spend hours here – it’s multiple playgrounds within a single complex. There’s a giant ship, sand areas, a tiny stream, and tons more. Beware that it can get quite busy, and the lines to enter can get long (although we were there on a sunny day in July and didn’t have to wait at all so…who knows?). After that, take a stroll through Kensington Gardens. Be sure to stop at the Peter Pan statue, as well as to see the parakeets who flock around you! My kids were mildly terrified at first but quickly found it was a delight. Consider crossing over to Hyde Park, as well; if it’s summertime, you could even rent a pedal boat or rowboat! After that, head to a late afternoon tea. Many places serve until 5pm, and some do until 7! I recommend going around 4:30 or 5 with young kids – you’ll miss the earlier rush and most people won’t be bothered if you’re not completely silent. Plus, then it doubles as an early dinner, and your exhausted kiddos can go back and head straight to bed. Some have a stricter dress code, but others aren’t that particular – be sure to check at your location. Kensington Palace itself hosts one in the gorgeous Sunken Gardens, and many hotels do, as well. We loved the one we did at Fortnum & Mason, and the food hall is spectacular! Wherever you go, be sure to check if they have a children’s tea, and the ages for which they charge. Start out the day by heading in for a brief visit at the British Museum; seeing the original Rosetta Stone is truly awe-inspiring. There are so many treasures there that it would be impossible to see them all, but they have multiple highlights tours so you can spend anywhere from half an hour to 6 months. I’d recommend keeping it brief (30-60 minutes) to see the incredible building and just a couple highlights before heading to your next stop. After that quick stop, head over to the Transport Museum – any vehicle-obsessed kid’s idea of heaven! There are so many fun forms of transport on display in both miniature and full-size form. Finally, head down to the iconic Houses of Parliament. Big Ben is currently under construction, but it’s still pretty incredible to see the building on the banks of the Thames. Wander over to Westminster Abbey (we love seeing it but didn’t go inside) and Buckingham Palace, or hop on the London Eye for an arial view of the city. If you’re lucky, you’ll catch the sun setting and casting a rosy glow on the water! About to take our kiddos to Paris and London. Loving your blog. Reading your London vlog though, where is the itinerary for Day 3? Thanks!!! !